As a tenant it is your responsibility to make sure that your rent is paid regularly and on time. This applies whether you pay all your rent or whether some is paid through Housing Benefit. You must pay your rent in advance and you can pay weekly, fortnightly or monthly. We can offer you a number of ways to pay. Paying by Direct Debit means that when your rents change on 1 April each year, we will update the amount that you pay, which means that you don’t have the hassle of remembering to go to the bank to change the payments each year. You can download a Direct Debit DD Mandate here. Once completed with your details please sign and return to Albyn's Finance Department at the Invergordon office. If you currently pay your rent by Bank Standing Order don't forget to complete the Bank Standing Order cancellation section on the form. Why carry large amounts of cash around when it’s safer and easier to set up a standing order through your bank? Our Customer ServicesTeam can provide you with a Standing Order Form, which you should complete, sign and take to your bank for authorisation to set up the necessary payments. The Bank Standing Order can be set up to make weekly, fortnightly or monthly payments towards your rent directly from your bank account to Albyn’s bank account, which will then be credited to your rent account. Most people find this method of payment a very convenient way to pay their rent. 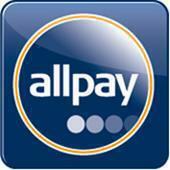 Allpay makes paying bills over the counter easy. If you are going to pay rent by cash we will arrange for an Allpay card to be posted to you, which should arrive within a week (all new tenants will automatically receive an Allpay card.) If there are joint tenants, each will receive a card and each tenant can use either card. On the card you will see your name, your tenancy reference number and a long number, which is your Allpay reference number. Our customers can pay their rent, occupancy and services charges at a wide range of retail outlets. Simply take your swipe card to the counter together with your payment using cash, cheque, debit or credit cards. You will be given a receipt as proof of payment, please keep your receipt in safe place. Your swipe card can be used to pay your rent at the following major retailers: Spar; Morning, Noon and Night; The Co-op Group; Alldays; Mace; the Post Office plus many small and independent retailers offering the Pay Point service. Payments by mobile phone - what could be simpler? To begin texting your payments all you need is a UK registered mobile phone, a valid Allpay swipe card and a current debit or credit card. After a quick registration on line at www.allpayments.net/textpay you can pay your bills 24 hours a day, 7 days per week. You just text a code and the amount you want to pay to a set number. All your transaction information is available and you receive a text back as soon as your payment has been accepted. If you would like any more information or help on how to make a text payment please phone Customer Services on 0300 323 0990 (North) or 0300 323 0991 (South). Using allpay's Payment App - "Quick sign in, simple to use and quick to pay. Perfect!" Allows you pay anytime, anywhere. Securely stores Payment Reference Numbers, bank details and payment amounts. It is important you have an allpay rent payment swipe card to use the App because you will use the long Payment Reference Number (PRN) found on it as part of the on-line sign up process. If you don’t have an allpay swipe card please contact either 0300 323 0990 North Area or 0300 323 0991 South Area and we will arrange for a card to be sent out. If you have one already then that’s great! Here is some information on how to download the app. You can use your Allpay card to make payments over the phone using Allpay's automated payment system. This system uses Interactive Voice Response technology to enable customers to make payments from a landline or mobile telephone 24 hours per day, 7 days per week. To pay by telephone all you will need is your Allpay card and a debit or credit card e.g. MasterCard, Visa, Switch or Connect; regrettably Electron cannot be used. To make a payment simply call: 0844 557 8321. The service is accessible from any landline or mobile phone to give you maximum convenience. You will be guided step by step through the telephone service. Make sure that you have your Allpay card handy so you can quote the 19 digit reference number from it when prompted. You will then be asked for your bank details so the payment can be made. If any part of the system cannot be completed you will be transferred to a Customer Service advisor, who will be happy to assist you. (Customer Service Advisors are only available 9.00 am - 5.30 pm weekdays). Once your payment has been processed you will be issued with an authorisation code as proof of payment, which we recommend that you note down for safekeeping. The amount of your payment will be credited to your Albyn Housing Society rent account usually the following day depending on the time of your call. To pay by telephone all you will need is your bank debit or credit card e.g. MasterCard, Visa, Switch or Connect, Maestro, Solo, Visa Electron. To make a payment simply call 0300 323 0991 if you live South of the Kessock Bridge (including Inverness) or 0300 323 0990 if you live on the North side (excluding Inverness), between 9.00am and 5.00pm Monday-Friday and ask to speak to a member of the Customer Services Team. An authorised member of staff will then be able to process your payment. Once your payment has been processed you will be issued with an authorisation receipt as proof of payment, which we recommend that you keep in a safe place. You can send a cheque or postal order directly to Albyn Housing Society Limited, 98-104 High Street, Invergordon, IV18 0DL. All cheques or postal orders should clearly identify your rent account number and be made payable to Albyn Housing Society Limited. It would be helpful if you could write your name and address on the back of the cheque, for identification. Pay at any Post Office with cash, cheque or debit card.